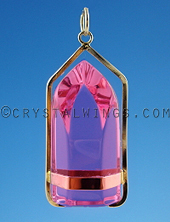 Crystal Wings - Largest Inventory in the world of Authentic Vogel Crystals, Wands and Master Healing Tools. 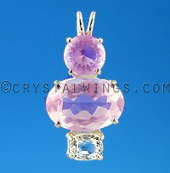 Exclusive Distributor of Ruby Lavender Quartz. Mail: 226 N. Mt. Shasta Blvd. 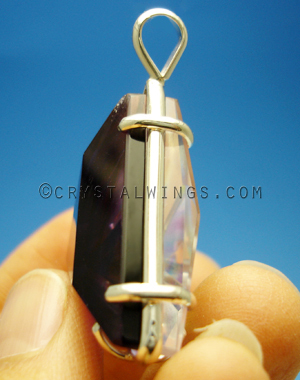 Sizing: 1" X 1" X 1/2"
Siberian Amethyst is fused together with Clear Quartz, creating a orange, yellow and green luminescence. 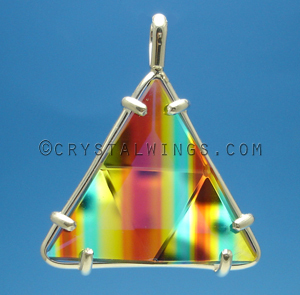 This rainbow Star of David creates a synergy between our higher self (as well as guides and masters) and the lower chakras of action and creation. 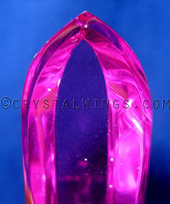 Ruby Lavender Quartz is an exclusive Trade Mark of Crystal Wings. ALL RIGHTS RESERVED. 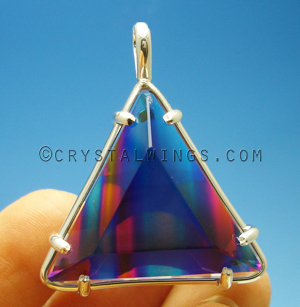 All information on this website is under copyright by Bill Hurley of Crystal Wings in Mt. Shasta, CA. USA. 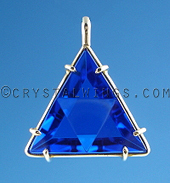 It may not be copied for individual or personal use and is not for distribution or publication of any type without the explicit written permission of Bill Hurley.